Turns out the Cleveland Cavaliers aren’t done adding huge contracts to the list, trying to work out some kind of deal with the Brooklyn Nets in order to acquire Joe Johnson, while getting rid of Brendan Haywood in the process. Johnson is owed $24.89 million next season, the last of the six year deal he signed in 2010 worth $123.6 million. Haywood is owed $10.5 million, but non of that is guaranteed if he’s released before August 1. In short, the Nets can get rid of a deal they want to dump badly and not take any money back. But that can’t work. The Cavaliers need more in this trade to make it happen. Anderson Varejao might be the only contract that comes to mind, although him alone going with Haywood isn’t enough. Varejao is owed $9.6 million next season, $10.3 million in 2016-2017 and $10 million in 2017-2018. However, the 2017-2018 is unguaranteed, and the Nets can waive him before August 1 and keep the money and him off the books. There’s also a 5% trade kicker involved. The Cavaliers need another player in on this deal. Maybe sign and trade Matthew Dellavedova, or J.R. Smith? That might actually work. For all of the big signings the Cavaliers have made, all of them keeping their own players, they still haven’t added anyone. 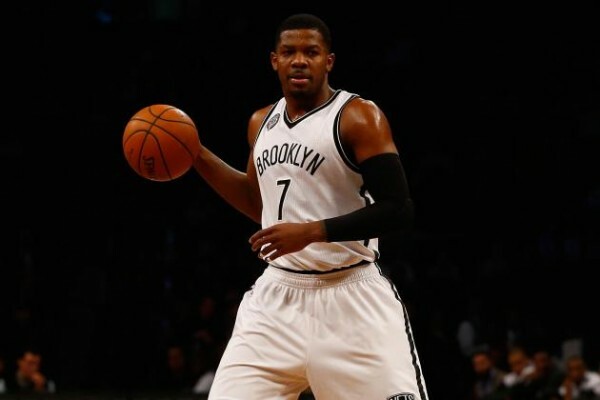 Joe Johnson, who can play at both the shooting guard and small forward position, would be a massive addition. He’s not going to score 20 points, but he can shoot, still defend a bit, handle the ball and add another player who can make big shots with the game on the line. With the Cavaliers re-signing Iman Shumpert but not J.R. Smith, there’s still a need at the ‘2’. And then there’s LeBron James waiting on the sidelines for the Cavaliers to complete their business and only then will he jump in and re-sign for one year and $22 million. Maybe he’s the one pulling the strings on this deal as well, although he might not be happy to see Varejao included. Don’t worry, it’s only our offer. Right now, it seems a bit too difficult and complicated to complete. Johnson averaged 14.4 points, 4.8 rebounds and 3.7 assists per game last season for the Nets. Haywood played a total of 119 minutes in 22 games for the Cavaliers, being nothing more than a garbage time player.